id Software’s DOOM 3: BFG Edition is now available on Google Play for select devices. By select devices, I mean the NVIDIA SHIELD Android TV box or the SHIELD Tablet. 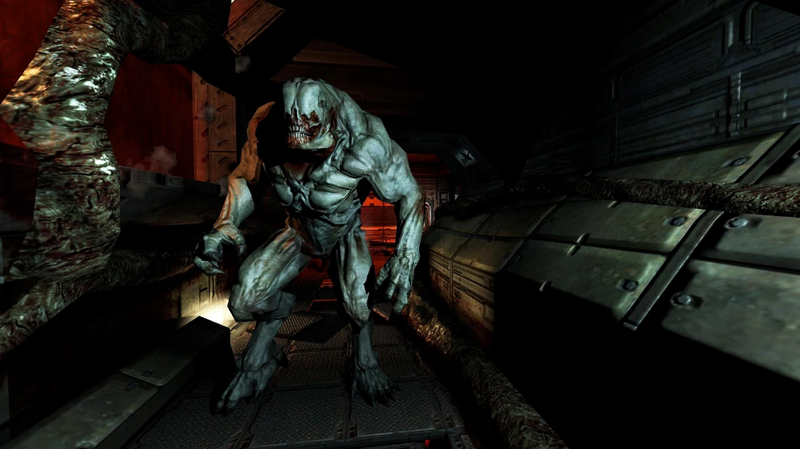 Inside, you can ‘relive the nightmare’ that is DOOM 3, as you take on Hell beasts during your stay on the planet Mars. The BFG Edition also contains access to the ultimate FPS classics, DOOM and DOOM II. These are the original games, made to perform flawlessly on Android devices with a game controller. Having played almost entirely through DOOM II the past few days and a bit of DOOM 3 on my SHIELD Android TV, I can tell you that these games play phenomenally, with zero hiccups in performance. Experiencing DOOM on an HDTV is almost a dream come true, especially if you remember playing these titles on old PC computers back in the day. We’ve come a long way. DOOM 3: BFG Edition is priced at $9.99, featuring zero IAPs. But again, please note, you will need a SHIELD Android TV box or SHIELD Tablet with a SHIELD Controller to download and play. We are currently waiting on word to see if this title will be made available to additional devices in the future.